The Irish Whale and Dolphin Group (IWDG) reports that Basking Sharks continued to dominate sightings of large marine species submitted via its online ISCOPE sightings database over recent weeks. Over a period spanning 22nd April to 01st May the IWDG received and validated 80 sightings, which broke down to the species level as follows. Sightings of basking sharks are expected to drop off this weekend, with unsettled weather meaning less people are likely to be out looking, and making the characteristic dorsal fin more difficult to see for those who do venture out. The IWDG receives a marked increase in reports of breaching “humpback whales” annually during May, but the NGO cautions that large marine animals leaping from the water around this time of year are almost certainly basking sharks rather than cetaceans. At this time of year we receive a flow of reports of breaching whales, most notably humpbacks. These come at a time of year when there is very little evidence that humpbacks are present in Irish waters. And based on the evidence, images and our own observations, IWDG are confident that many of these “curious breaches” by large marine animals are from basking sharks and not whale species. 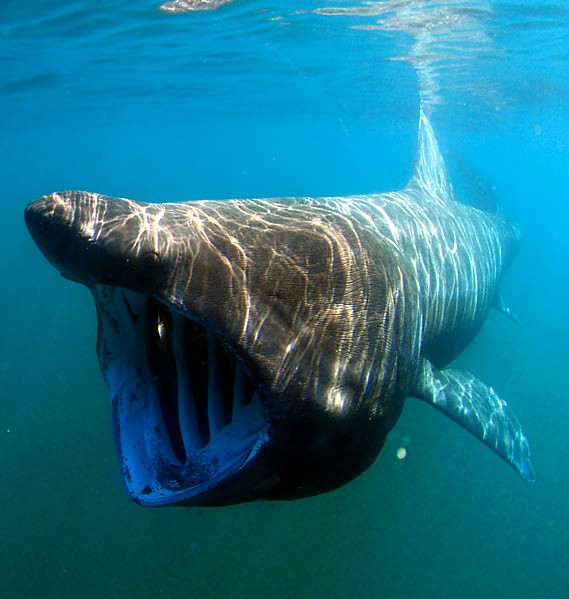 If you see a basking shark off the Irish coast, please submit details of the sighting to the Irish Whale and Dolphin group’s online sighting database.